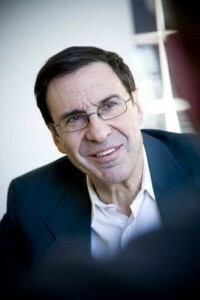 The Canadian Medical Association (CMA) will present its 2009 Medal of Honour to McGill AIDS Centre Director Dr. Mark A. Wainberg, one of the first Canadian scientists to study HIV/AIDS and a tireless global advocate for funding of HIV intervention programs and universal access to prevention, care and treatment programs. Wainberg is the 26th recipient of the CMA Medal of Honour, the highest award bestowed upon a person who is not a member of the medical profession. He will receive the award at a special ceremony at the TCU Place in Saskatoon, Sask. on Aug. 19th as part of the CMA’s 142nd annual meeting. Dr. Wainberg and his research team were credited with the first identification of 3TC as an anti-viral drug in the late 1980s. He has also contributed significantly to our knowledge about HIV drug resistance and HIV replication. In addition to pursuing these lines of research and drug development, today his laboratory looks at novel concepts in vaccine development and prevention of HIV infection in developing countries. Promising advances in AIDS research made possible by Wainberg’s research team’s work were acknowledged in 1990 by the federal government’s National Health Research Development Program, when he won the National Scientist Award for AIDS Research. His team’s research also won critical acclaim. In 1993 the Canadian HIV Trials Network presented him with its award of distinction, and in 1996 he was a co-winner, along with investigators from BioChem Pharm and Glaxo-Wellcome, of the Prix Galien award for pharmaceutical research. Dr. Wainberg has been honored at all levels – from the grassroots, by people affected by HIV/AIDS, to the elite organizations that acknowledge only the top scientists in the world. Citations include Public Health Hero by the Pan American Health Organization (2002) and Hero of HIV Research by the Fondation Farha (2005). He was presented with the Pride Toronto Award (2007) and has received awards in China, India and Argentina. Selected awards include: fellowship in the Royal Society of Canada (2000); investiture in the Order of Canada (2001) and l’Ordre National du Québec (2005); a second Prix Galien for research (2003); fellowship in the Canadian Academy of Health Sciences (2008); and induction in France’s Legion of Honour (2008). He is a lifetime honorary member of the International AIDS Society. The Canadian Society for Clinical Investigation presented him with its Distinguished Scientist Award (2003) and he has received the Sanofi-Pasteur Award for Excellence in Scientific Leadership and Accomplishment (2006). Dr. Wainberg is also an honorary fellow of the Royal College of Physicians and Surgeons of Canada (2003).